Android powered cameras never really materialized. We’ve seen valiant efforts like the Samsung Galaxy Camera, but it never really caught the interest of people. Partly the reason why was because these devices are unable to compete against DLSRs or mirrorless cameras. Recently, YongNuo announced the YN450. The Chinese company primarily deals with photography equipment and accessories, but it looks like they may have a good contender with this mirrorless camera. The Yongnuo YN450 camera comes with a 16MP Panasonic micro 4/3 sensor. It has an unspecified octa-core Qualcomm processor, Android 7.1 Nougat, 3GB RAM, and 32GB expandable storage. Interestingly, the YN450 also features a Canon EF mount, which would probably appeal to those already invested in the system. At the back, it has a 5-inch Incell full HD multi-touch display. It also comes with a support for 4K recording at 30fps. There’s also a headphone jack, dual LED flash, dual mic, GPS, and a 4,000 mAh battery. The YN450 is definitely an interesting device. 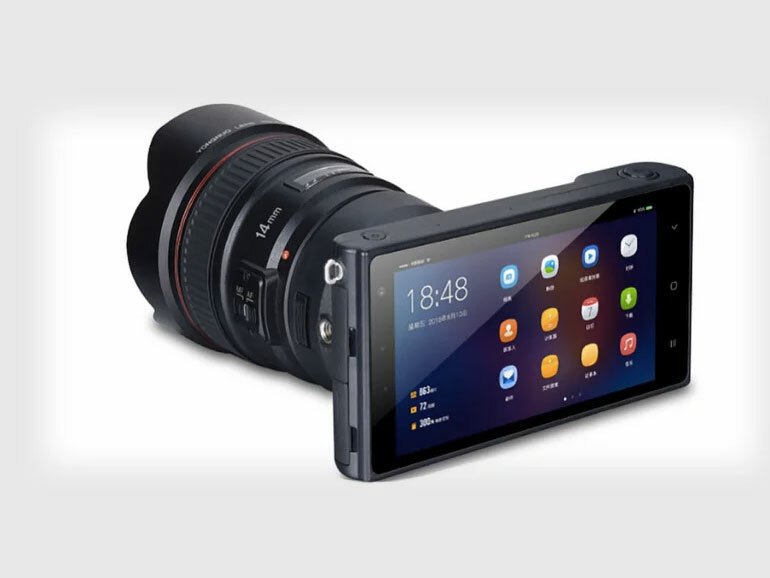 A mirrorless camera that can use DLSR lenses and runs on Android will surely attract a lot of attention. So far, there are no information yet on release date or price.